InkSwarm is a blog of the Writer-in-Residence of Kelowna’s Public Art Pollinator Pasture. The writer blogs regularly about thoughts, experiences, and ideas that relate in diverse ways to the Pollinator Pasture project both in Kelowna B.C. and, occasionally, in Richmond B.C. The posts may record experiences of events and gatherings of the Pollinator Pasture community, or could riff on facts about bees, or could be poetic meditations on place or plants or art practices such as poetry. The blog is part of the artistic, literary and journalistic recording, development, and enrichment of the Public Art Pollinator Pasture, one artful public face of the project. Our writer-in-residence for 2015-2016 is Fionncara MacEoin. 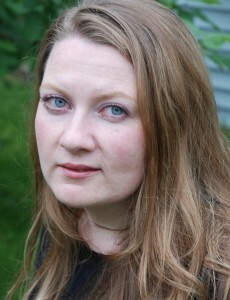 Fionncara MacEoin is a Saskatchewan poet currently pursuing an MFA in Creative Writing at UBCO. MacEoin graduated from University of Saskatchewan with a BA (Honours) in English. She is a graduate of Saskatoon Community Youth Arts Programming’s Urban Canvas program, and holds a diploma in Graphic Arts and New Media from McKay Career Training. MacEoin has dedicated much of her creative work to her community. She’s been involved in a number of community arts projects and murals in Saskatoon, and facilitated creative writing workshops at the Saskatoon Correctional Centre as part of the Inspired Minds: All Nations Creative Writing Program.